The democratic promise of the 2011 Arab Spring has unraveled in Yemen, triggering a disastrous crisis of civil war, famine, militarization, and governmental collapse with serious implications for the future of the region. Yet as expert political researcher Helen Lackner argues, the catastrophe does not have to continue, and we can hope for and help build a different future in Yemen. Fueled by Arab and Western intervention, the civil war has quickly escalated, resulting in thousands killed and millions close to starvation. Suffering from a collapsed economy, the people of Yemen face a desperate choice between the Huthi rebels on the one side and the internationally recognized government propped up by the Saudi-led coalition and Western arms on the other. In this invaluable analysis, Helen Lackner uncovers the roots of the social and political conflicts that threaten the very survival of the state and its people. Importantly, she argues that we must understand the roots of the current crisis so that we can hope for a different future for Yemen and the Middle East. With a preface exploring the US’s central role in the crisis. Helen Lackner has spent the past four decades researching Yemen, and has worked in the country for fifteen years. She is a Research Associate at the London Middle East Institute at SOAS, University of London, and is currently the editor of the Journal of the British-Yemeni Society and is a regular contributor to Oxford Analytica's briefs and openDemocracy. 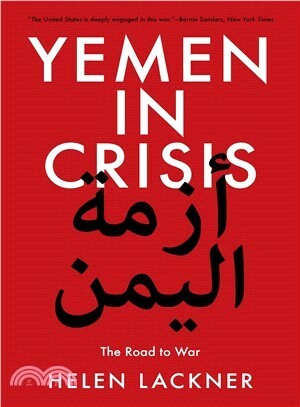 Her works include Why Yemen Matters: A Society in Transition and Yemen and the Gulf States: The Making of a Crisis.